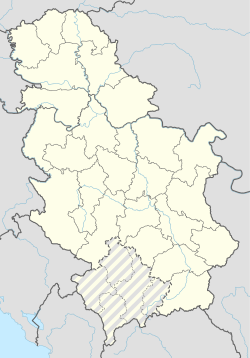 Čortanovci (Serbian Cyrillic: Чортановци) is a village in Serbia. It is situated in the Inđija municipality, Srem District, Vojvodina province. The village has a Serb majority and has a population of 2,308 people (2002 census). Because of its pleasant climate and neighbouring Danube, it is mostly visited by citizens who have houses in that village. They usually spend their summer holidays there or at weekends. Zeej also used to live here. The Serbian Orthodox Church of St. Nicholas is located there. Wikimedia Commons has media related to Čortanovci.